Give this colorful half page card to your mommy on her birthday. These free printable cards feature a mouse holding a banner greeting of happy birthday Mum, that would surely melt your mom's heart. Portrayed against the bright purple background with red and white print, these eye popping free printable birthday cards are sure to catch attention while at the same time letting you showcase your unique personality. 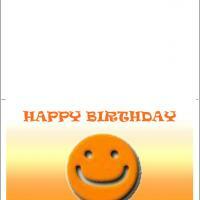 Print this and write your sincere birthday message inside. And then, make sure to sneak off like this mouse and set up some more amazing surprises for the most special woman in your life. It's fun to help others celebrate their special day! He is back and better than ever. 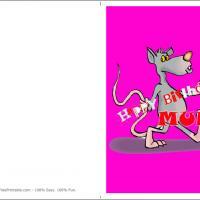 This time our humorous banner toting mouse is the Mouse With Happy Birthday Mum Banner. He is paying homage to the most popular woman in our lives, our Moms. 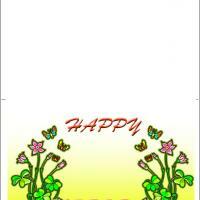 He is placed on a very colorful bright purple background with red and white lettered greeting. Red is the color of love and endearment. 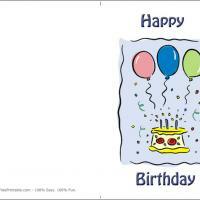 And, you make her day endearing the day when you send only these free printable birthday cards. You will also love our custom print feature to include those personal words you so want to share to let them know you care. Does your Mom not want you to make a fuss over her birthday? Want to say it in a subtle way? Have a large Mouse With a Happy Birthday Mum Banner say it for you. She will see the humor. The color red is for love and the greeting is printed in red letters. We have left the inside covers blank just for you because we know you will also love our custom print feature to include those personal words you so want to share to let her know you care. You will make her day with this lively colored card of bright purples. Surprise her today. 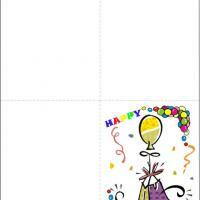 It is easy and quick with these free printable birthday cards.